Forked Up Art - Kitchen and Tabletop - The Fork Tequila Party (Salt,Pepper and 4 x Tequila Glasses). 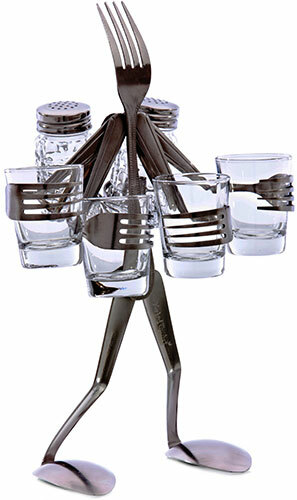 This Fork Tequila Party Set will be the talking point at the dining table. Salt,Peppers and Tequila Glasses included. The Fork Tequila Party Sets will be well packaged for posting.